We are honored to be here to serve our Veterans with assistance, as well as to promote legislation for the health and rights of veterans—we’ll even give veterans assistance with filing claims. So if it has anything to do with Veterans, it’s here... but if it’s not, or if you have an issue that has not been addressed, please let us know because you, our honored Veteran, is our sole purpose to exist! Please help us help our very deserving veterans. Donate whatever amount you can afford, which, of course, is tax deductible. 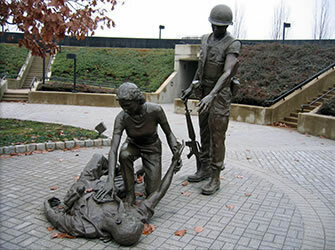 On behalf of all of our Vietnam Veterans, thank you! Find Various Resources in Government, Military Resources, Military Records and Much More!